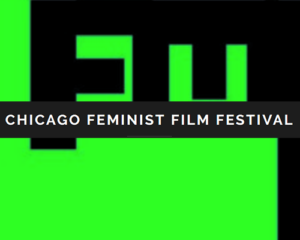 The Chicago Feminist Film Festival showcases independent, international film, predominantly shorts, spanning documentary, fiction, and experimental genres, and aims to address issues of gender, sexuality, race, and other forms of inequality often missing from mainstream media. This in turn means creating inclusive public spaces for under-represented artists to share their work — particularly women, people of color, queer, and transgender folks, given their struggle for visibility in the mainstream film industry. Another goal is to forge connections between local, national, and international film. The over-arching assumption behind the festival is that art plays a vital role in bringing people together and encouraging them to think deeply about issues of equality and social justice.